It's a fascinating tale "kinda well told." Mostly, it's the Bruckheimer Usual (you know, the guy that does Pirates of the Caribbean, National Treasure, Armageddon, and Gone in Sixty Seconds...but ALSO the guy who did Black Hawk Down, Crimson Tide, Dangerous Minds, and Top Gun), so you never quite know what you're gonna get 'til it's over. 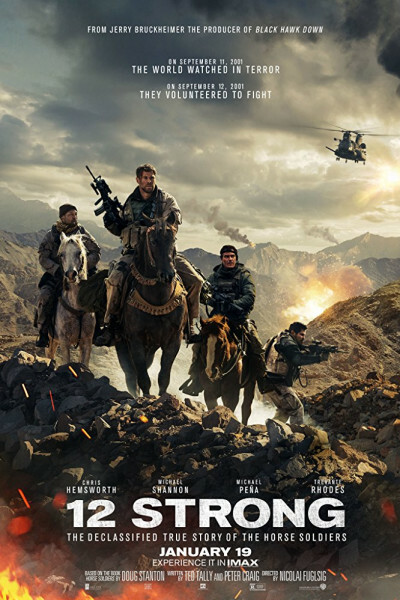 In this case, it's the remarkable true story about America's first response to 9/11, begun one month later and lasting 23 days to take Afghanistan's Taliban-ruled stronghold of Mazar-i-Sharif. In short, twelve Green Berets on horseback—working with approximately 2,000 Afghans in the Northern Alliance—accomplished in three weeks what Donald Rumsfeld and U.S. Intelligence thought would take 1-2 years. 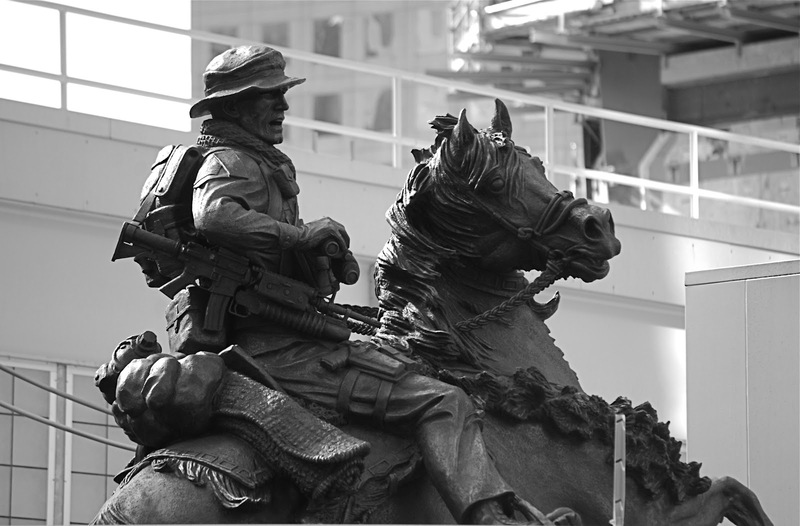 The "Horse Statue Soldier" (officially "America's Response Monument," aka De Oppresso Liber) commemorates the military campaign and is the first publicly accessible monument dedicated to the United States Special Forces. It's located in front of One World Trade Center, across from the National September 11 Memorial in New York City.